Movie Ramble: Children of the Revolution. 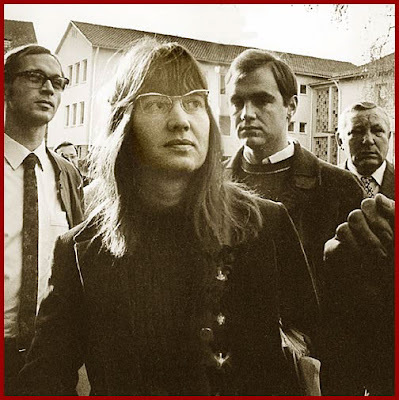 Ulrike Meinhof in the sixties. No one gets to choose his or her mother, but if we did its doubtful we would pick a world-renowned freedom fighter for the job. You could find that either, you would be doing a lot of travelling, never settling down in one place, or be fostered out to friend’s or sympathisers never seeing very much of your parents except maybe on the TV news or in the newspaper’s. Shane O’Sullivan’s intriguing documentary Children of the Revolution (2010) shows just what’s it’s like for two female siblings to have mothers constantly in the worlds headlines during the sixties and seventies and to spend your life in the shadow of two dedicated and strong women one of which died in prison and the other still serving a 20 year prison sentence. 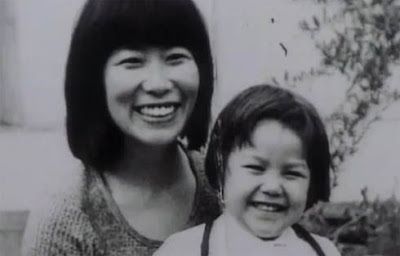 Fusako Shigenobu and the young Mei. The two family members in question are authors and journalists Mei (May) Shigenobu daughter of Fusako Shigenobu a leading light in the left wing Japanese Red Army, and Bettina Rohl whose mother was Ulrike Meinhof, joint leader of Germanys Red Army Faction, who were a communist anti-imperialist urban guerrilla group prepared to engage in armed resistance. O’Sullivan’s documentary provides us with a unique perspective on two women who along with Leila Khaled became leading female revolutionaries of their time. We also learn how the two adult girls hold differing views about their mothers. Its obvious that May holds her mother in high regard and still fights her corner even if Fusako will probably never leave prison, where as Bettina would appear to have little time for her politicised parent. 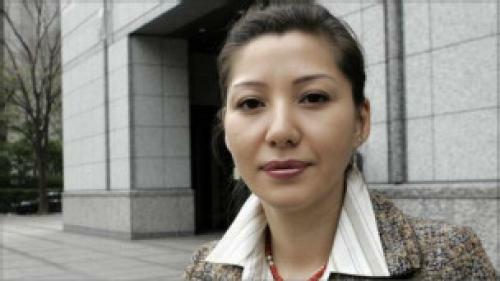 Television journalist Mei (May) Shigenobu. For those of you that, like me, are interested in modern European history this is a very interesting documentary and can be easily linked to two feature films Carlos The Jackal (2010) and more so, as far as Meinhof is concerned, Baader Meinhof Complex (2008). Bettina and her sister Regine where sent to Palestine to be educated but were intercepted and sent back to their father who was resident in Germany and thereafter forcibly separated from their mother who was found hanged whilst in prison in 1976. May was born in Lebanon in 1973 where her mother lived and married May’s father, a Palestinian guerrilla fighter who was alleged to be the head of the Popular Front for the Liberation of Palestine a group who fought against the Zionist plot to rob the Palestinians of their rightful homeland. With capitalism once more in crisis, they reflect on their mother's actions as the film asks: what were they fighting for and what have we learned? A thought-provoking and informative piece of work that does not take sides.